New York City Chapter Members gather after planting along the Amawalk River in Westchester, NY. Since 2017, Trout Unlimited has partnered with the Arbor Day Foundation to plant close to 10,000 native trees along priority trout streams in New York rivers. 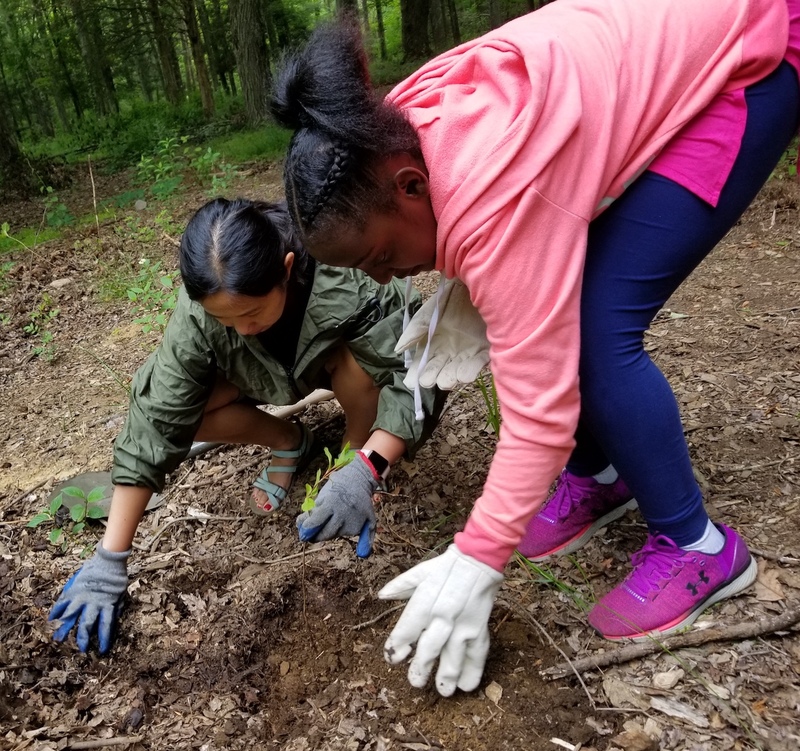 New York chapters have organized and implemented more than 30 volunteer planting events, engaging hundreds of members, partners and the community in TU’s work. Like elsewhere in the East, streams and rivers of New York have been negatively impacted by historic and current anthropogenic impacts that have altered streamside vegetation. The lack of riparian cover can contribute to an excessive of sediment, nutrients and increased water temperatures, which can impair the biological potential of the cold water resource. Planting a diverse riparian buffer can help improve conditions for both aquatic and terrestrial wildlife and is an important restoration method utilized by TU to help maintain and improve the cold, clean water where we fish. Students from New York City students participate in planting as part of the TU Trout In the Classroom Program. Chapters that have been involved in Arbor Day Plantings include: Lake Champlain, Clearwater, New York City, Dave Brandt, Columbia-Greene, Long Island, Canandaigua, Ashokan-Pepacton Catskill Mountain, Beamoc, Croton and SUNY Cobleskill 5 Rivers.